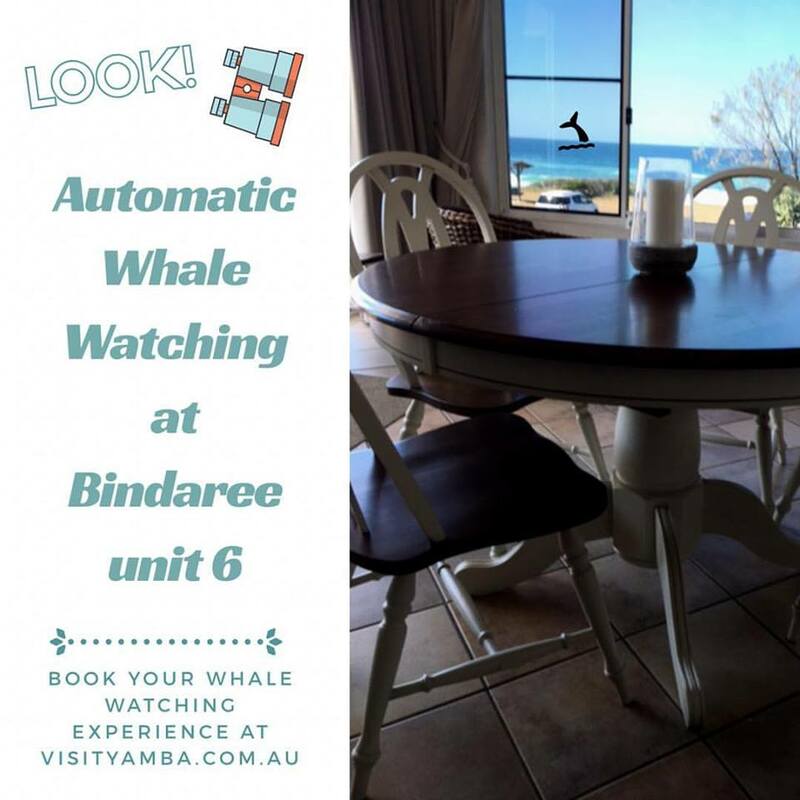 You don’t have to step onto a boat or even out the door to see the whales and dolphins when you holiday at Bindaree unit 6, on Pacific Parade, Yamba. This fabulous 3 bedroom unit, which also has a trendy new dining setting too, is directly opposite Pippi Beach, the perfect spot to see the local marine life on their travels. So what are you waiting for, book this great holiday destination, Bindaree unit 6 today. Click here to view details and make your booking.